Southwestern pipevine is a trailing or climbing vine with stems up to 3 feet long. This is the only member of the Aristolochiaceae (pipevine) family that occurs in the Sonoran Desert. 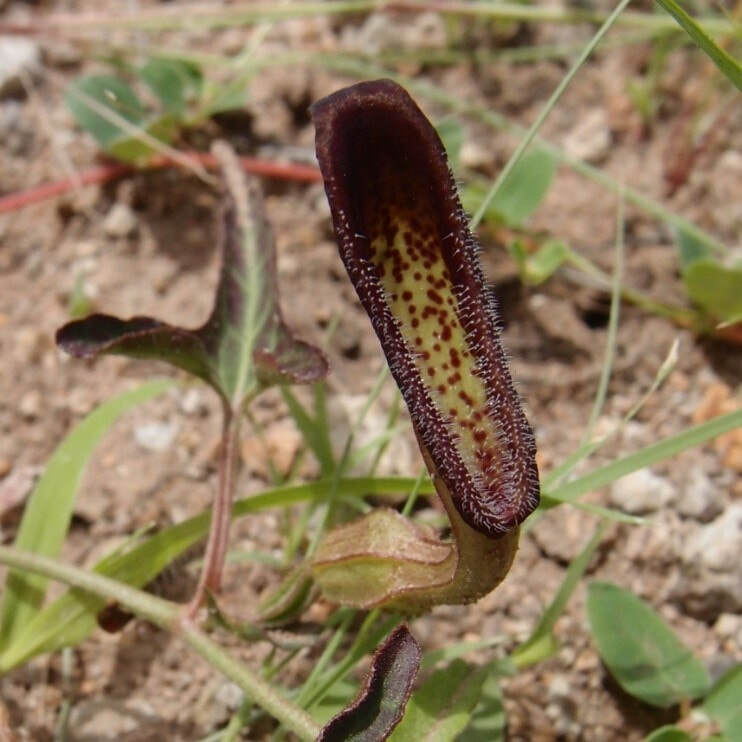 It has tubular-funnel form flowers that are green with brown spotting. Pipevines are the larval food plant for pipevine swallowtail. New Mexico thistle is a plant native to the southwestern United States and northwestern Mexico, particularly the Mojave and Sonoran Deserts. It can grow up to 6 feet tall and is often found in deserts, along roadsides, and in canyons. It has large flowers ranging from white to lavender in color. Many insects visit this plant making it a great pollinator attracting species. 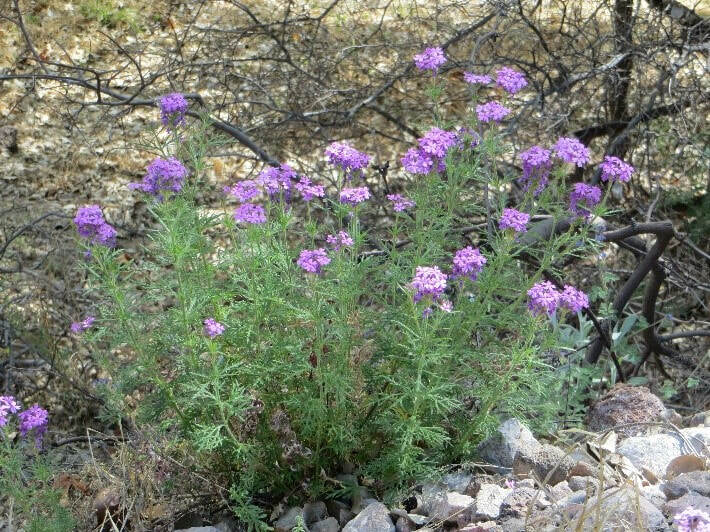 Southwestern Mock Vervain is native to the southwestern United States and Northern Mexico, where it occurs in dry washes sandy plains, and rocky hillsides. When in bloom from March to June, flowers are pale pink to lavender in color. It will attract hummingbirds, butterflies and other beneficial insects. Snapdragon vine is an herbaceous vine which usually reaches 3 feet or more in length. The tubular flowers are purple or red, turning to white inside the tube. It is typically found growing under trees or shrubs in desert washes or twining through other plants in upland areas. It flowers from the spring to early fall. Arizona Poppy is a summer annual herb of the deserts of the southwestern United States and northern Mexico. Its orange flowers resemble the flowers of the California poppy, and it blooms from July to October. It is common in flat, sandy grasslands and blooms begin to appear with the summer rains. The flowers are visited by a large array of insects including bees, wasps, flies, and butterflies.